This little country cemetery in SE Iowa is near the town of Talleyrand, which really doesn't exist any more and is not on most maps. Some ancestors of mine are buried here but I would like visiting the cemetery even without that interest. It sits serenely in the midst of the lush Iowa cornfields. These photographs were taken in October 2008. Tyrone Cemetery, Talleyrand, Iowa. 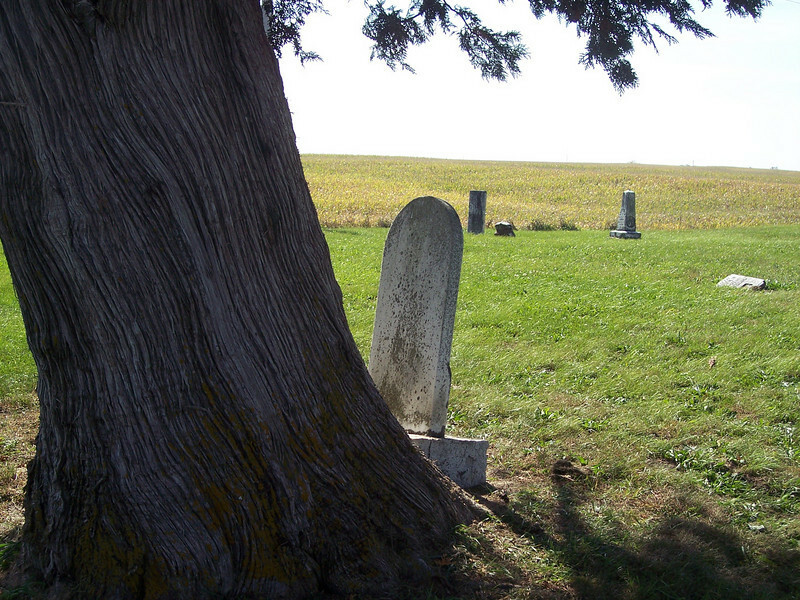 The tree has grown larger over the years and tipped this gravestone so that it appears to be looking out over the billowing cornfields.